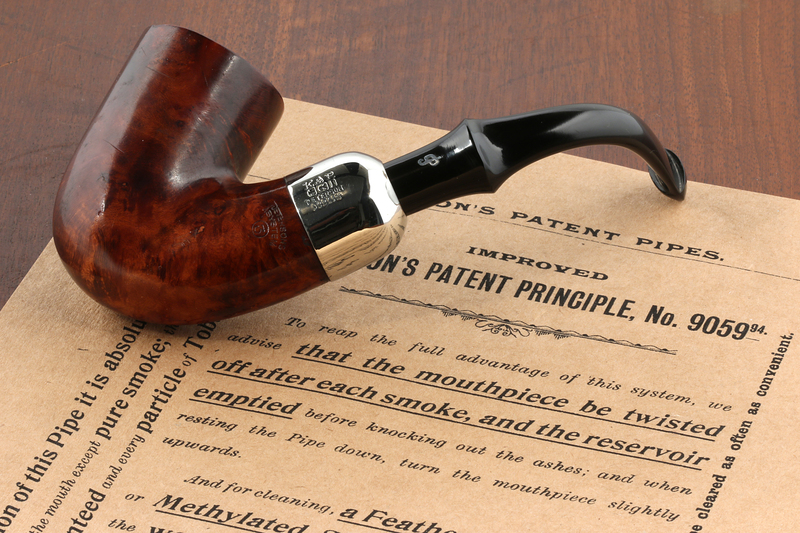 I wanted to let everyone know that I’ll be presenting “What Most Pipe Smokers Don’t Know About Peterson” at the Chicagoland International Pipe and Tobacciana Show, Friday night, May 4th and 9p.m. in the McCardle Suite, where smoking is permitted! My co-author Gary Malmberg and our book designer Marie Irwin will be on hand—Gary to answer questions with me after the presentation, and Marie to run our technology (as usual), take photos, and answer any questions you may have about the layout & design. In addition, Gary (our historian) is mounting a Peterson pipe exhibit in the main display cases on the show floor. I wish I could say Gary Schrier, our publisher, was going to be there, or that Tom or Conor Palmer at Peterson could make it, but Gary is busy at Briar Books Press editing the final part of the book, and Tom and Conor send their best regards. Most of the photographs and illustrations I’ll be using, however, are in the book. We’ll also be throwing a few of the book layouts up on the screen to give you a glimpse at what you can expect when the book does finally appear, and we have a special treat for those who can stay after the main presentation. You can get more information about the show at http://www.chicagopipeshow.com/2018-pipe-tobacciana-show-flyer/ . Rooms are still available at the lovely old Pheasant Run Resort in St. Charles, Illinois. It’s an amazing experience if you’ve never been, and if you have, you don’t need convincing. Hope to see you there! *That’s not true of you, of course, because you’re a Pete Nut! Still, I hope to “instruct and delight”—as Horace recommends in the Ars Poetica—even the most devout of Pete Freeks. the photo will make me buy another 8s or 313 on Monday. Jorgen, there will be a tour of the Mac Baren tobacco plant afterwards. You take the second left. It’s only about 6,802km or so. We can get free samples, I hear! I’ll help you pick out the 8s when we’re done. Sadly, I’ll miss the show this year. Now, reading this, you are killing me! Is there any chance the presentation will be recorded (hint, hint) for posting to Youtube, etc.? That’s an interesting idea, Al. I’ll give it some thought. Will finally get to meet you – see you there! AWESOME! I’m really tickled you’ll be there. I wish I could be present for your talk, Mark! Eagerly anticipating the release of the book! Maybe next year when the book is out! Thank you for the offer Mark. I could need help by buying a pair of shoes but not a pipe which is the only thing I can find out to buy by myself. Previous Post76. Season’s Greetings – Beannachtaí an tSéasúir! Next Post89. Peterson Exhibition at the 2018 Chicagoland Pipe Show.